During the middle of last week a bombshell report hit Israeli media but was largely ignored in major international press. According to the Jerusalem Post former Secretary of State John Kerry has been actively undermining President Trump through his own back channel communications with representatives of Palestinian Authority President Mahmoud Abbas. 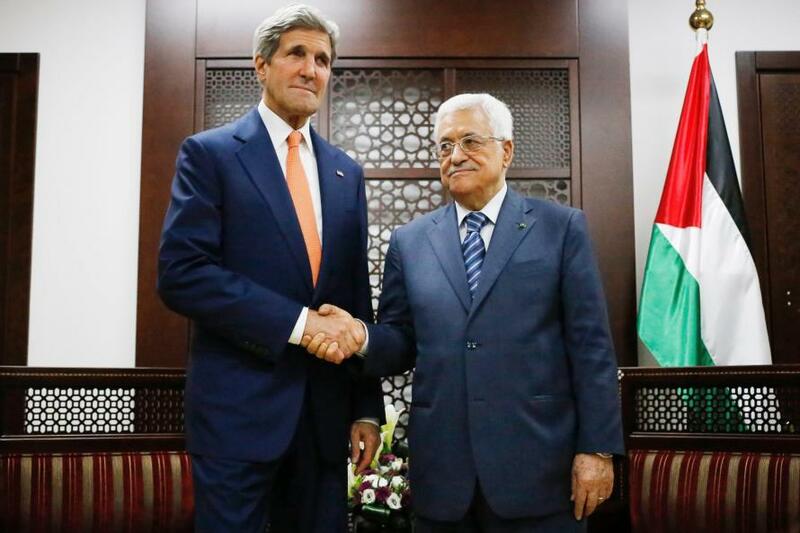 This reportedly included Kerry telling Abbas to "hold and be strong" and to not "yield to President Trump's demands" until Democrats are able to kick Trump out of office, and even included the suggestion that Kerry himself would seriously consider running for president in 2020. But it appears, according to the Jerusalem Post relying on revelations sourced to the Israeli outlet Maariv, that Kerry is one among the "previous administration" which has "maintained contact with PA officials" and is seeking to secretly jump start a separate peace plan which circumvents the current US administration, and which presumably would come to maturity once Trump is out of office. The claims center around a recent meeting between John Kerry and a close associate of Abbas named Hussein Agha, who is considered the most senior and veteran negotiator with Israel concerning the peace process. If true it means Kerry may have effectively co-opted and quietly taken control of a key diplomatic channel at the heart of American Middle East diplomacy, creating "an alternative peace initiative" which would garner "international support" outside of White House channels. While Kerry himself has yet to comment publicly on the claims, an unidentified associate said be close to the former secretary of state told Boston Magazine a day after the Israeli media report that "The story is simply wrong" and further, "Those aren't Secretary Kerry's views or positions on the Middle East peace process, nor would anyone in their right mind send political trial balloons through foreign emissaries." Boston Magazine further noted, "Agha has also denied that such a discussion took place, according to a source close to him," while not quoting the Abbas aide directly. According to the report, referring to the president, Kerry used derogatory terms and even worse. Kerry offered to help create an alternative peace initiative and promised to help garner international support, among others, of Europeans, Arab states and the international community. Kerry hinted that many in the American establishment, as well as in American intelligence, are dissatisfied with Trump’s performance and the way he leads America. He surprised his interlocutor by saying he was seriously considering running for president in 2020. When asked about his advanced age, he said he was not much older than Trump and would not have an age problem. This set off some speculation last week over whether 74-year old Kerry would be too old for the job by 2020 and after. The report added Kerry as saying that even establishment Republicans "didn't know what to do with Trump and are very dissatisfied with him and that patience and breathing time are needed to get through this difficult period." Though confirmation from either the Abbas or Kerry side will likely never come, the reported reference to Kerry urging Abbas to "hold and be strong" until Trump is out of office echoes Obama's infamous hot mic incident with then-Russian President Dmitri Medvedev in March 2012, where Obama in a whispered message intended for incoming Russian President Vladimir Putin said of a controversial US missile defense plan and other difficult issues, "After my election I have more flexibility."